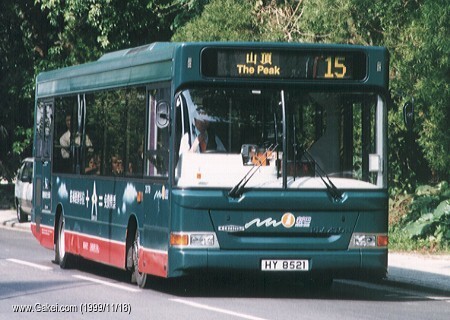 NWFB's 10.1-metre Dennis Dart SLF buses started their service during January and February 1999. 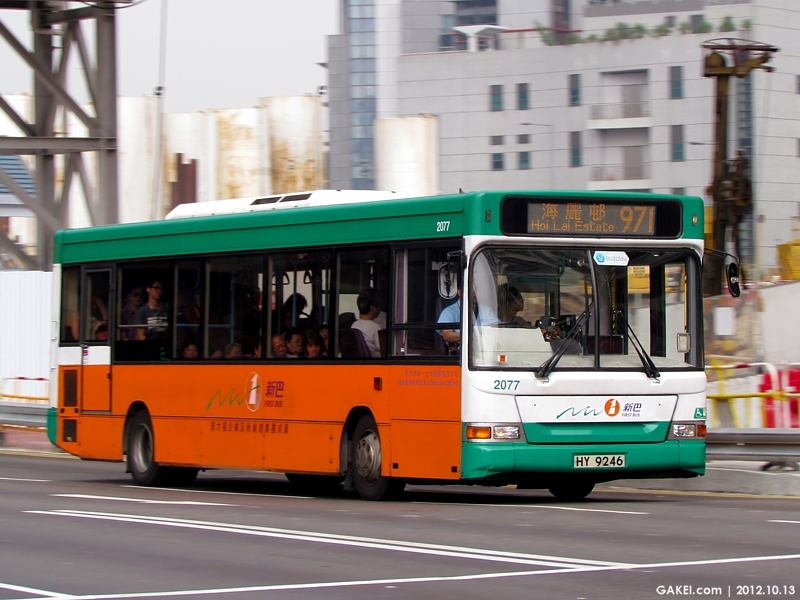 There are 34 buses in total, and were allocated 2061-2094 as their fleet numbers. 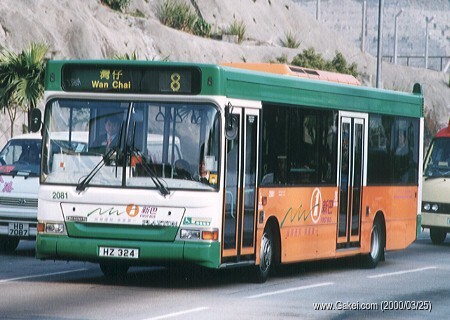 2062 received the new Cathay Pacific Holidays advertisement shortly before being withdrawn. 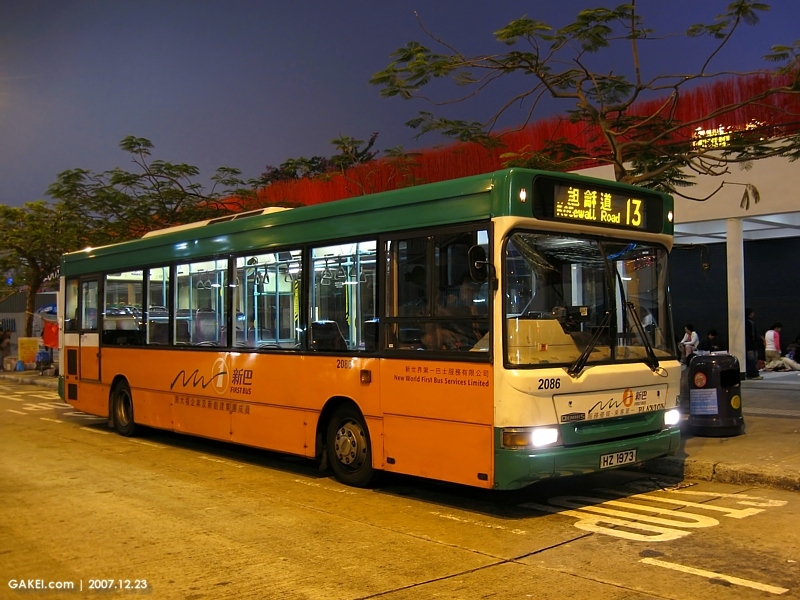 2062 parked on the NWFB Siu Sai Wan parking area. 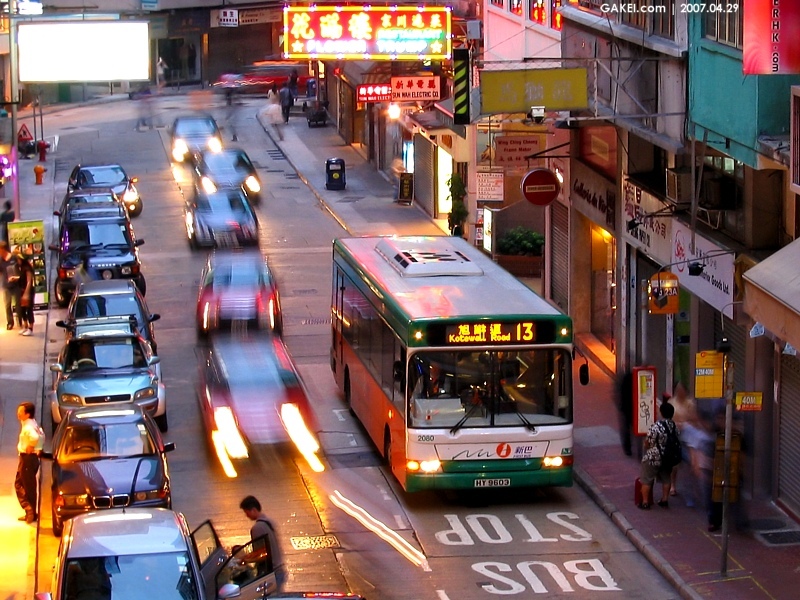 The bus probably has just been withdrawn from service. 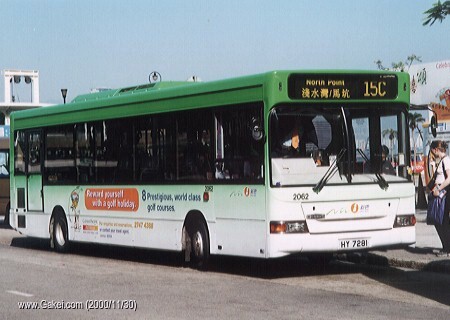 2063 wore the first version of Cathay Pacific Holidays advertisement. 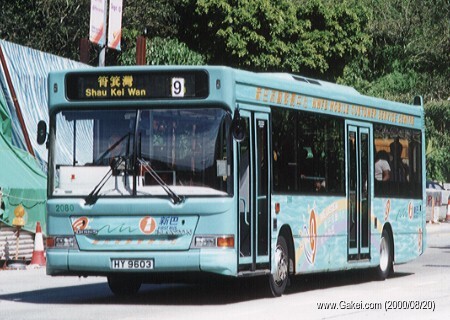 2065 was also painted with the same Cathay Pacific Holidays advertisement as seen on 2063. 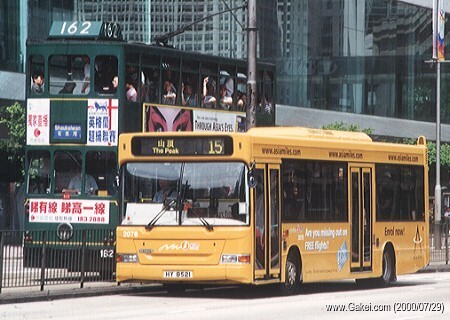 Route 15C is a mixed route that is served by single-deck air-conditioned buses and one open-top double-decker, the Dennis Condor DM6. 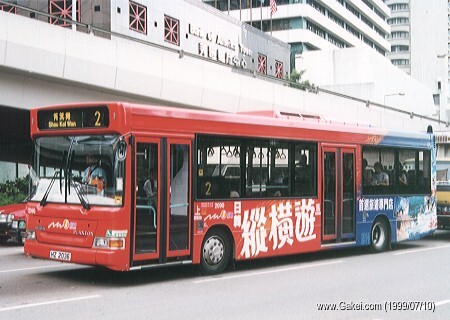 The background of the photo is the famous Madarin Oridental Hotel at Central. 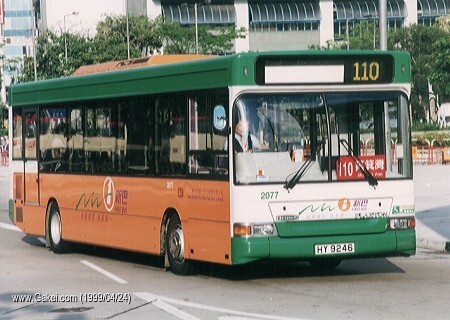 2077 is seen serving Route 110 and has just departed from Jordan Road Ferry. 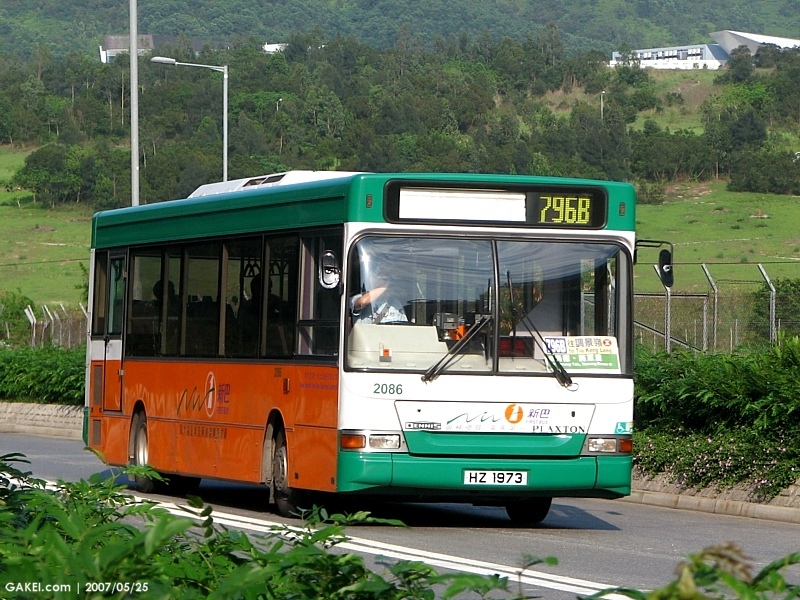 The "Ponter" sticker of 2077 is still intact as seen in the photograph. 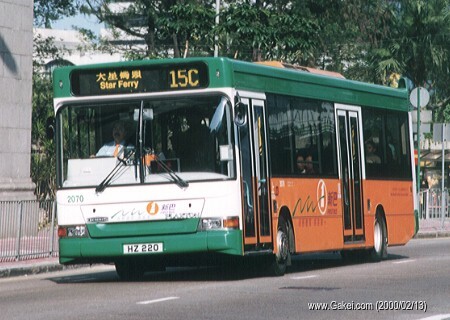 The dark green Cathay Pacific advertisement of this 2078 is quite match with the greenery Mansfield Road. 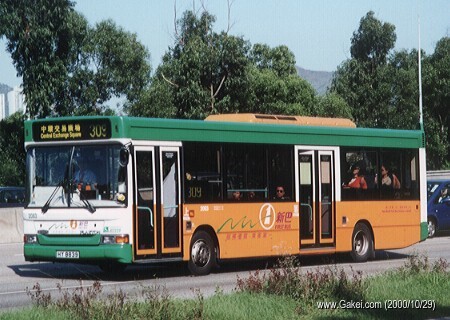 2078 was later repainted with the yellow Asia Miles advertisement. 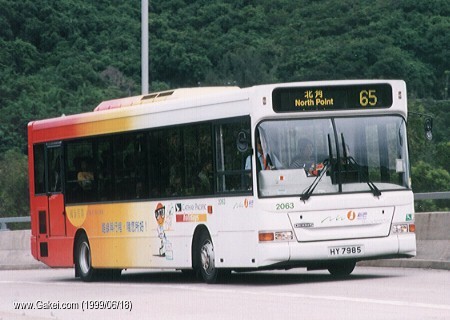 2080 was also the Mobile Customer Service Centre of NWFB. 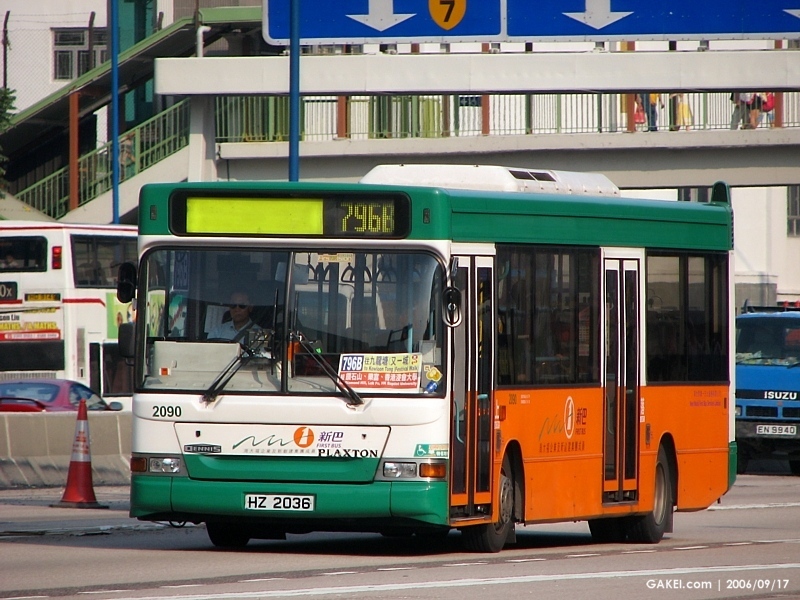 The frontal electronic route display had not been worked properly for quite a long time. 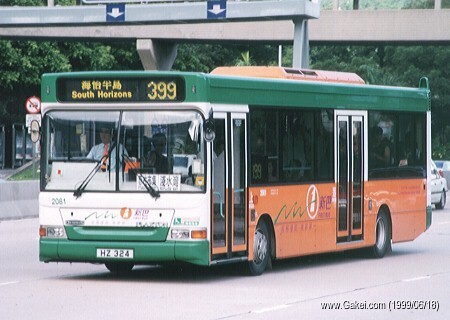 2081 shortly after entering into service. 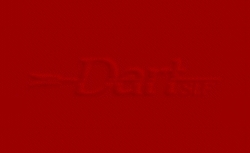 The route display still could not show the destination yet. 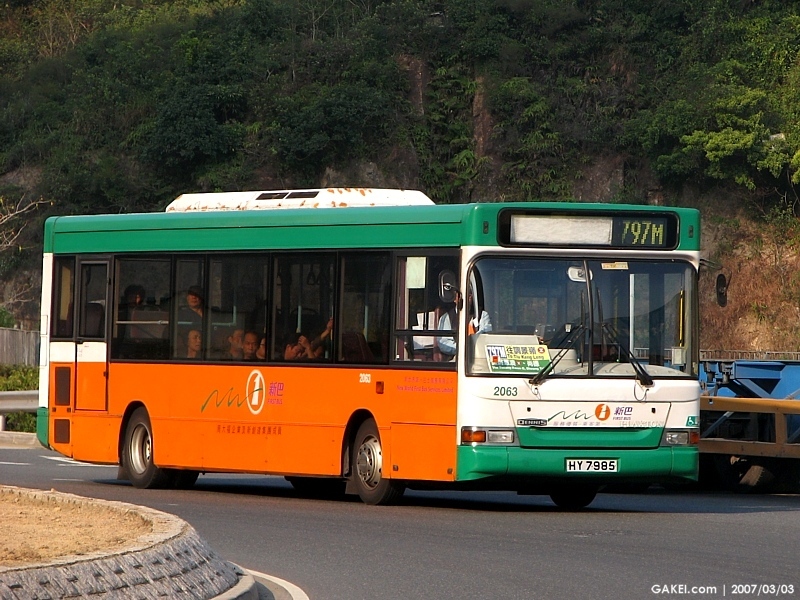 Route 399 only operates in summer which connects the beaches and residential estates in the South District. 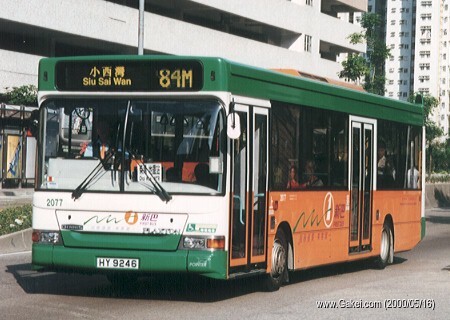 2081 is seen reaching the highest point of Chai Wan Road. 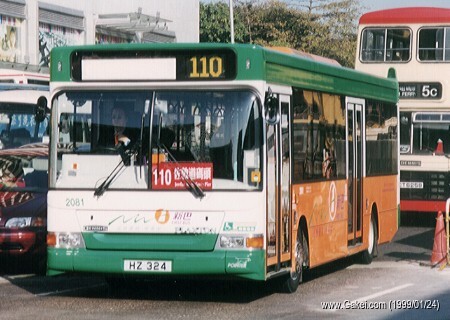 Route 309 is an express route that serves between Shek O and Central. 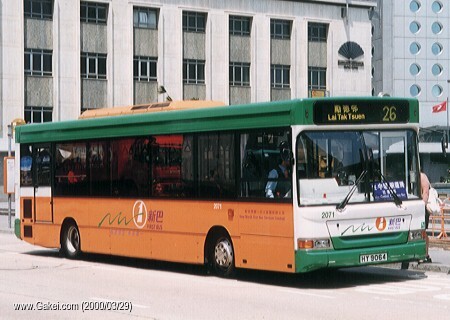 2090 is seen wearing an attractive advertisement of a travel agency. 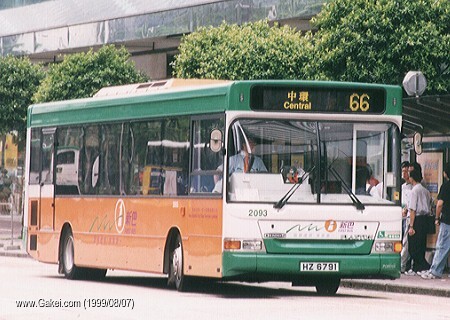 2093 on Route 66 for Central along Queensway. 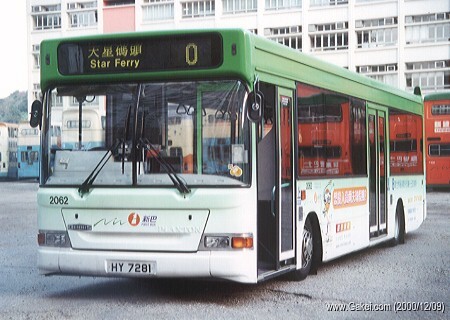 2094 is the last 10.1-metre Dart SLF. 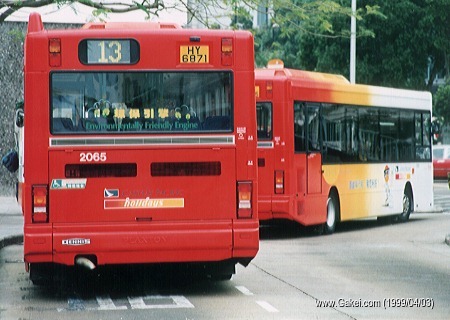 The Citybus on the left is Volvo B6LE 1330 with a Plaxton Pointer 1 body. 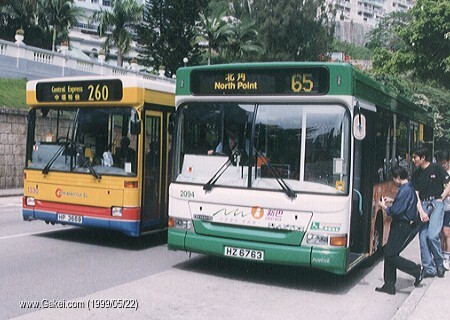 The difference of the front design between the two generations of Pointer body is well demonstrated.